Sheer Arc waterfalls project up at 45 degrees and then naturally arcs and descends to the pool surface. Sheer Arc Cascade waterfalls project a sheet of water upward at 45 degrees, which then naturally arcs and descends to the pool surface. 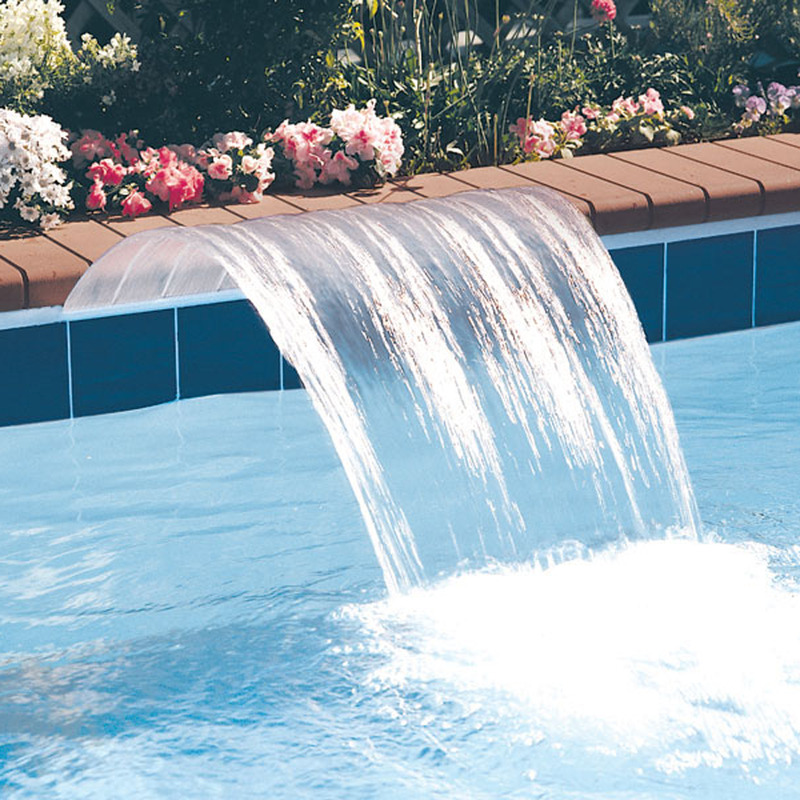 All Sheer Arc Cascade waterfalls can be positioned just above the waterline — no raised bond beam is required — making it perfect for vinyl liner pools. Add a stylized water feature that is a step about other waterfalls to make your pool a work of art. Launch our online catalog viewer to review model numbers and sizes available. How do I order a waterfall? When ordering Sheer Descent Waterfalls, please indicate style, lip color, feed type and lip size. If ordering a Super Radius cut, please indicate whether the cut should be convex or concave and specify the dimension of the radius. - 7-10 ft. head loss created. If more water is pushed, more head loss is created. All Waterfalls take 5-10 business days to ship.